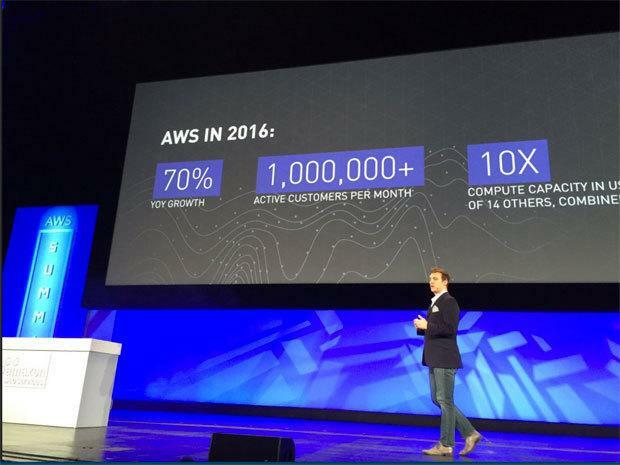 Amazon Web Services is going retro to help companies deal with big data workloads. The cloud provider announced Tuesday it's launching two new volume types for its Elastic Block Store service that are powered by traditional, spinning disk hard drives. The new Throughput-Optimized HDD and Cold HDD EBS volume types let companies store files cheaply in a way that's still useful for big data workloads like MapReduce and Kafka. the Throughput-Optimized service is aimed at frequent use cases, while the Cold HDD service is built for those same uses, but for applications that reference the items stored less frequently. To get all of that data into AWS, customers can now call on a new 80TB Snowball storage appliance. That joins the existing 50TB Snowball, which was already available for users to order from AWS and get delivered to their data center for data transfer. Using the Snowball, users can ship their data securely from on-premises servers to Amazon's. To cover the users who don't need to move Snowball-sized amounts of data, Amazon also announced the S3 Transfer Acceleration service, which is designed to get moderate amounts of data transferred quickly into the AWS Simple Storage Service (better known as S3). It uses the AWS edge network, which is also used for Amazon's Cloudfront CDN and Route 53 DNS service, along with optimized network protocols, to let users upload files to S3 up to 550 percent faster than they'd be able to with a straightforward data transfer. These storage service moves are going to help Amazon customers get data into the cloud faster, which is particularly important for companies undergoing cloud migrations -- something that Amazon has been pushing for quite some time.